There's a growing number of Asian Americans in the NYPD, a promising sign of growing diversity on the force. Erica Byfield reports. NYPD Chief Thomas Chan remembers when the police force only had 30 Asian members. Now, in a department of more than 36,000, there are 3,000 Asian American officers, about 8 percent of the force. "When people need assistance, it's not a matter of what ethnic background the officer is," said Chan, now the highest-ranking Asian American officer on the force. "But it certainly does help when the officer speaks additional languages." That's part of the reason he felt compelled to join the NYPD. His office at One Police Plaza, just steps away from the Chinatown neighborhood where he grew up, tells the story of his celebrated career. The NYPD is now on a mission to share Chan's story, and those of other officers with similar backgrounds in the hopes of convincing them to serve their city. "It means I can take my background and my empathy and my understanding of Chinese culture and relate to some of the people, or those who might not understand why certain things are done," said Lt. Paul Ng. As the Lunar New Year begins, NYPD Det. Hee-Jin Park-Dance is reminded of her upbringing. "My parents said, 'When a tiger dies, he leaves his skin, and when a human dies, you leave a name to how much contribution you did to our society." 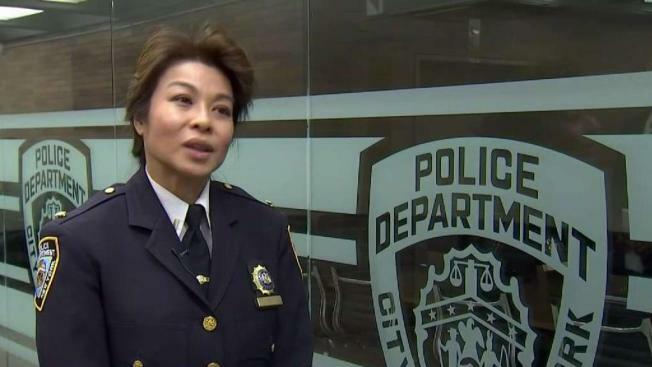 Similarly, NYPD Lt. Lily Fu said she felt a calling to become a cop, despite bucking her parents' dream. "They just felt like, 'Go to school, be a teacher and do something Asian girls would normally do," she said. "I guess that really wasn't for me."